The Caribbean region includes several destinations whose names are highly familiar to North American travelers. There are also several islands whose warm temperatures and blue waters stimulate the senses of a relative few. Montserrat certainly qualifies in the latter category. However Ayiesha de Coteau-Sammy, director, trade and investment promotion, of the Montserrat Development Corporation (MDC), is working to reverse that trend. Ms. De Coteau-Sammy is charged with revitalizing trade and investment in Montserrat, whose 2014 visitor arrivals rank last among the 25 countries tracked by the Caribbean Tourism Organization (CTO). Montserrat hosted 3,734 travelers between January and May, a 35 percent increase over 2013 but a small fraction of the six- and seven-digit numbers posted by top Caribbean destinations. MDC is a government-owned agency responsible for revitalizing the country’s private industry following the 1995 eruption of the Soufriere Hills volcano, an event from which the country’s once-strong tourism sector has yet to recover. The previously dormant volcano destroyed the Colonial era capital and port city of Plymouth, rendering the island’s southern half uninhabitable. Today an “exclusion zone” extends from Montserrat’s south coast north to parts of the Belham Valley. Travelers can view the volcano ruins from the top of Garibaldi Hill and from the Monserrat Volcano Observatory. Montserrat is also blessed with lush tropical forests and leafy hiking trails, and offers quiet beaches surrounded by reefs for snorkeling and scuba diving. Small-ship operator Windstar Cruises will call at the island during the 2015-2016 season. MDC is now focusing on the development of tourist sites on the island’s northern end. 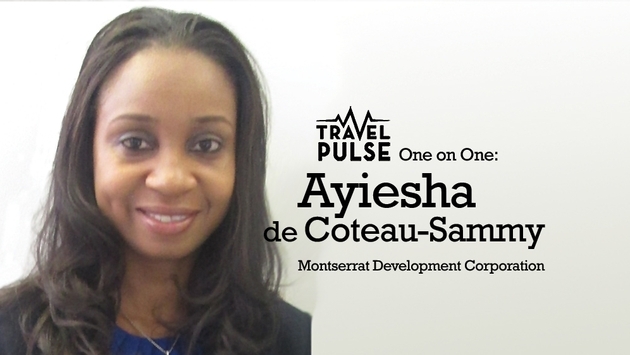 We spoke with de Coteau-Sammy to hear her office’s plans for revitalizing Montserrat tourism in the years ahead. TravelPulse: How will your agency rebuild tourism in Montserrat? Ayiesha de Coteau-Sammy: Our objective is to regenerate the private sector and get it up and running, to ensure that Montserrat is on a path to self-sustainability, and of course the development of a new capital city, which is addressed in our master plan for development. The primary concern right now with the corporation is getting people to know that Montserrat is open for business and the volcano is no longer a threat, and hopefully getting investors to come into the island. TP: What are the master plan’s objectives? AS: In our master plan development there are five or six major projects identified, the first one being development of the port. Successful development of the port would open up a whole new world for Montserrat in terms of getting visitors to the island. Not only is a port important for getting cruise lines and tourists to the island but also [commercial] shipments. Getting cargo in and not having it stop at other hubs will lower costs for Montserrat residents. With the port will come a marina on the waterfront with 65 to 70 docking berths. We are looking for nothing larger than about 293-meter (961-foot) cruise ship from a smaller cruise line because Montserrat has about 5,000 people so we are trying to keep it small. TP: What other tourism developments does the master plan include? AS: The next element is a hotel. We would like to attract a name that is already established. We are looking at an 80- to 100-room hotel. The potential hotel development sites are laid out in the master plan. They are in the center of the Capital city development, one of the flattest land areas on island. There are 225 acres of land available for development. TP: Can you describe the hotels currently available to visitors in Montserrat? AS: We have upscale bed and breakfast hotels, many that are well-equipped with amenities like Wi-Fi so you’re not going to be disconnected coming to Montserrat. We have accommodations for families including villas and private homes. TP: Is travel to the volcano zone an option for visitors? AS: The volcano zone is very interesting and something that people want to see. We do have tours and a museum that has pictures of what Montserrat looked like before and after. We have a volcano observatory where the volcano is monitored 24/7; it’s the most monitored volcano in the world right now. We have scientists coming in from around the world all of the time. TP: How would you describe the pace of tourism growth in Montserrat? AS: For the last two years tourism has been slow. Now that we are rebuilding, things are coming along slowly but snorkeling and diving are available right now. We have hiking and nature trails. It’s not as commercialized as other places but that is part of the unique appeal of Montserrat. We were talking yesterday that usually in other places you can’t get to sleep through the whole night. But in Montserrat you get up after a few hours and it feels like you’ve slept the whole day. It’s very relaxing and even the air feels different. There are beaches and the people are friendly. 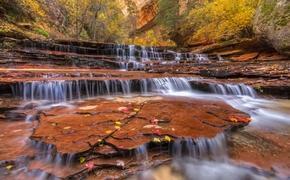 It’s just a beautiful place. TP: When did the MDC master plan first develop? AS: The government came up with the concept of a master plan about five years ago, but the last two years is really when we got things off the ground. We brought in a new CEO, Ivan Browne, last year in June. Then we bought in the two directors, myself and our director of infrastructure. We felt it was necessary to bring the tourism department under MDC because we want the message to be similar. So now we have trade an investment, infrastructure and tourism all under the Montserrat Development Corporation umbrella. We are lining up all of our ducks and now we are ready. TP: What tourism-related projects has your office initiated to date? AS: We have already started and finished our first development, Marine Village, which consists of four types of developments on the beach. There is a dive shop, a bar and grill, a wine/coffee bar and a restaurant. We are also working on a sports facility. The purpose of starting Marine Village was to get people accustomed to coming into the new capital city. TP: How about traveling to Montserrat from North America? AS: Coming to Montserrat, you normally fly to Antigua; from there you have four to six daily flights to Montserrat. The flights from Antigua take about 20 minutes. We also have a ferry between Antigua and Montserrat, which takes an hour. The flights aren’t very high up so you can see a full view of the island when arriving. It’s part of the adventure of traveling to Montserrat. TP: Why is it important for the country to increase its visitor arrivals? AS: Self-sustainability is paramount to Montserrat and that includes the residents. Of course we are lucky to have a clean slate so that we can develop it as we want. Of course we also want to maintain our positive attributes; the people are friendly and the crime rate is low so those are the things we want to make sure stay in Montserrat. We are looking for development, we are looking for investors, but we want people to understand that there are some things that are great about Montserrat and we want them to stay that way.